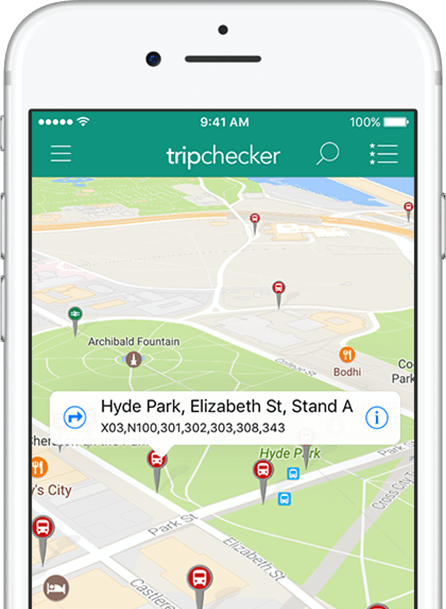 Trip Checker is the world's free, take-anywhere transit companion. Get Live Departure Times and key travel info in major cities around the world, including all of Great Britain. 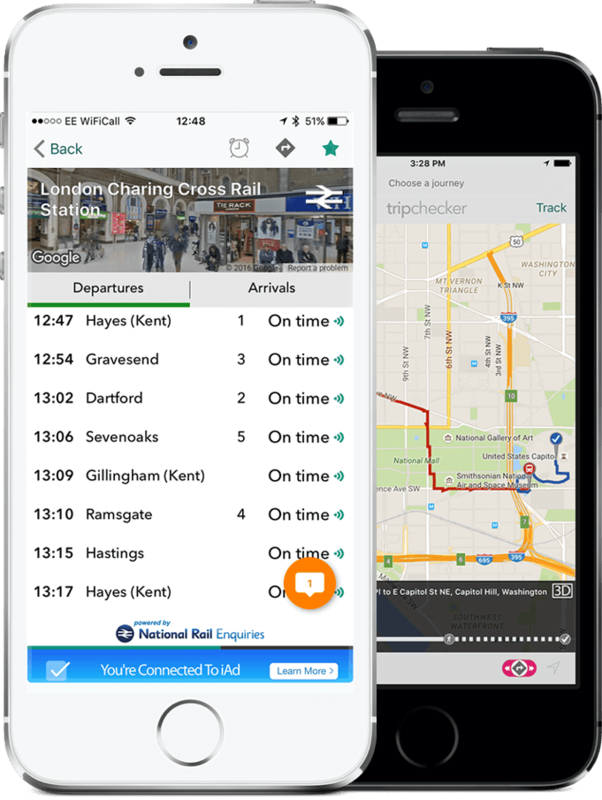 See instantly when your next bus or train is going to arrive - plus there's live journey planning to help you get around, instant disruption alerts, traffic reports and much more. Save your favorite places and journeys for instant access and one-tap journey planning. Trip cancelled? Get live disruptions info, plus real-time cycle hire availability in selected cities. Users love us - our apps have an average App Store rating of and some great press reviews. 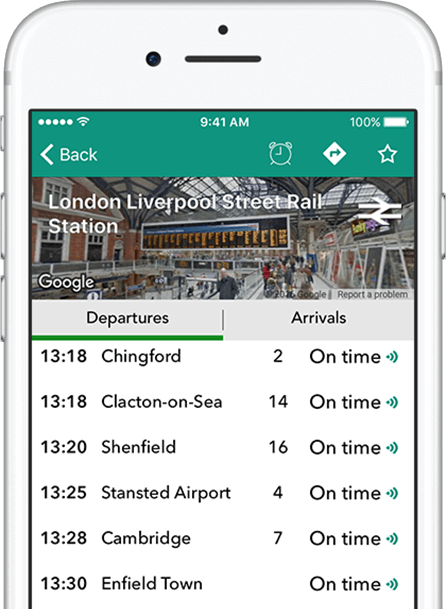 See an instant departures board for every stop; in the app, or on your home screen. No more standing in the rain, just meet your train or bus when it gets there. We'll plan your journey from A to B by bus, train, subway, hovercraft, however you roll. Great routes with live times. Save your favourite places so it's just one tap at the end of the night to get yourself home. Bus information provided by various sources: in UK, Traveline and Transport for London, all rights reserved. Santander Cycle Hire Dock info available in iOS version. In New York, Bus information provided by MTA and used with permission. 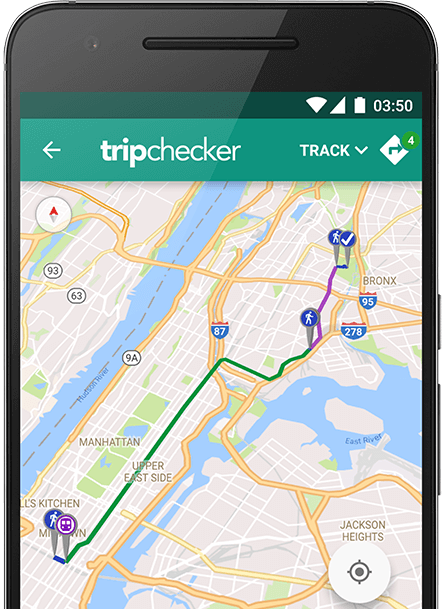 NYC Bus Checker is an MTA Officially Licensed App. CitiBike Dock info available in iOS version.